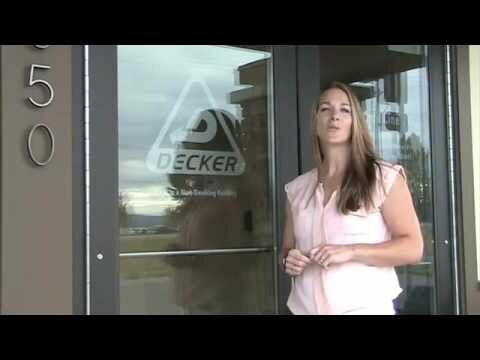 Drivers at Decker earn up to 80,000 per year. Great place to work. If your looking for a company that will treat you with respect this is it. For one they will listen and help u when they can and for home time we'll u got it. I know a lot of u say yeah right but if u want to hang ur hat at a good company look no further give them a try and I guarantee u will not b disappointed!!! Self employed leased on to Decker Truck Line. Been with DTL for about 10 years. Now I'm going O/O. Jury has not been decided whether I should stay or find more $. Well, I'm in a hotel since my trainer is on his home time so I figured I'd share my experience so far. I graduated school back in April. Since I wasn't 23 tmc and boyd turned me down so I bounced between maverick, roehl, and melton for the longest. 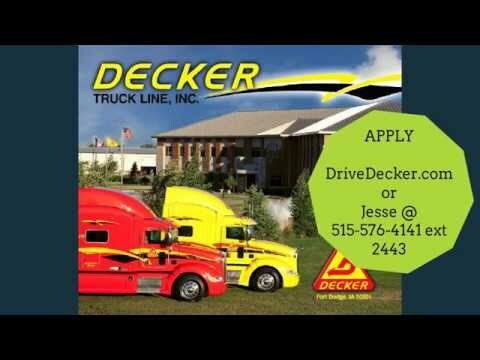 My friends dad has been driving for decker for last 3 years and has been doing well so I figured I would give it a shot and contacted a recruiter. Everything they told me sounded good on the phone although I still had my expectations low because I didn't know what to expect. They got me a rental car and off I went to Fort Dodge, Iowa. The staff over orientation did a pretty good job in my opinion. They shot it straight with you but they were still friendly and respectful. We had 15 guys that week and only 2 got sent home for medical reasons. And another guy decided that it wasn't for him. Out of the remainder only 3 of us were doing flatbed and the rest were reefer. At the end of that week those who had experience were issued trucks and assigned a load to get them home for the weekend. One of the guys who was flatbed had experience and got a brand new Pete with 3500 mIles on it. Me and the other guy had to do load securement training the following week for 3 days. I ended up leaving a day early that next week because they had a trainer come through the terminal and decided to let me go ahead and hitch a ride with him for the next 4 weeks. Lol. It also turned out that I was his first trainee. He's a really cool guy though. He set aside fridge, closet, and cabinet space for me for some of my stuff. I still have another 2 weeks with him but it's been a really good experience so far. I'm pleased so far with my decision coming to decker. They were honest with everything they told me over the phone and didn't lie about a thing to me. I'm not saying everyone may or may not have experienced the same thing, but they've been good to me thus far. decker is the worst company, the only thing that I good I can say is the equipment. 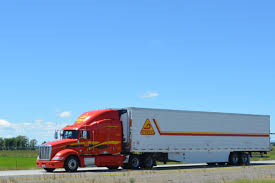 if you want good equipment with low pay join decker flatbed division, I worked for them 2 months out of my the Bessemer terminal it was a good experience from the people I met at orientation. the company side I can say this you learn from your experience. if you go on the website you will see that per diem that is included but it's out of your money. let me explain they paid me .44 per mile subtract .08 cent, I was making .36 per mile, and they the tell you you will get 2000-2500, my average was 1700 miles per week. 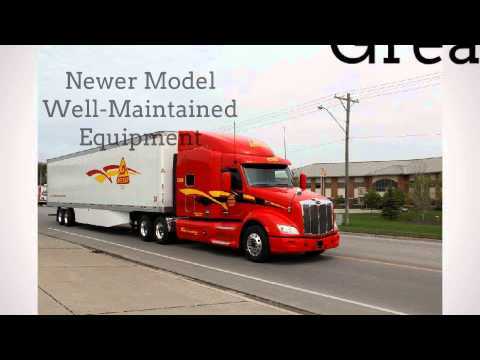 if you want to good equipment with low pay decker truck line is the place for you.